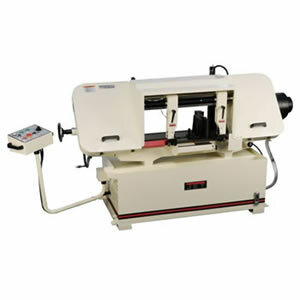 Jet J-7060 horizontal band saw is a 12 inch capacity band saw, easy to operate, dependable and well built. Suitable for for pretty large workpieces in your fabrication facility. Like all Jet tools this comes with a 2 year warranty. Thanks for looking we hope to earn your business !